They say that food is a way to a man's heart. But with Pizza Hut, it's not just food, but a heartwarming message of love. This Valentine’s, say “I love you” in the most unique way possible. Now, you can show your love and tell them how you really feel when you #SayItWithPizzaHut. Score an unforgettable and delicious surprise as Pizza Hut presents its romantic February offer. 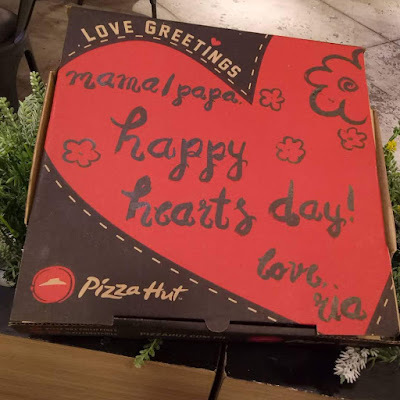 Personal, Regular or Large pan pizzas come in the limited-edition Pizza Hut Valentine’s Box that serve as your giant greeting card. Get creative! Write, doodle, or design your personal message directly on the box. Make your valentine laugh by scribbling adorable and witty pizza puns; or keep it sweet with a heartfelt proposal that you’ve always wanted to say. Whatever message you put, this gift is bound to be one of the greatest you can give – and anyone can get. Select from Pizza Hut’s signature pan pizzas to convey your affections once they open the box. Take this chance to be extra cheesy with the Cheesy Lava Mozza Crunch. Tell someone special that they deserve the world by going all out with a Super Supreme, loaded with an abundance of toppings. And what about a Bacon Margherita, topped with only the finest ingredients, to show someone you fancy them? 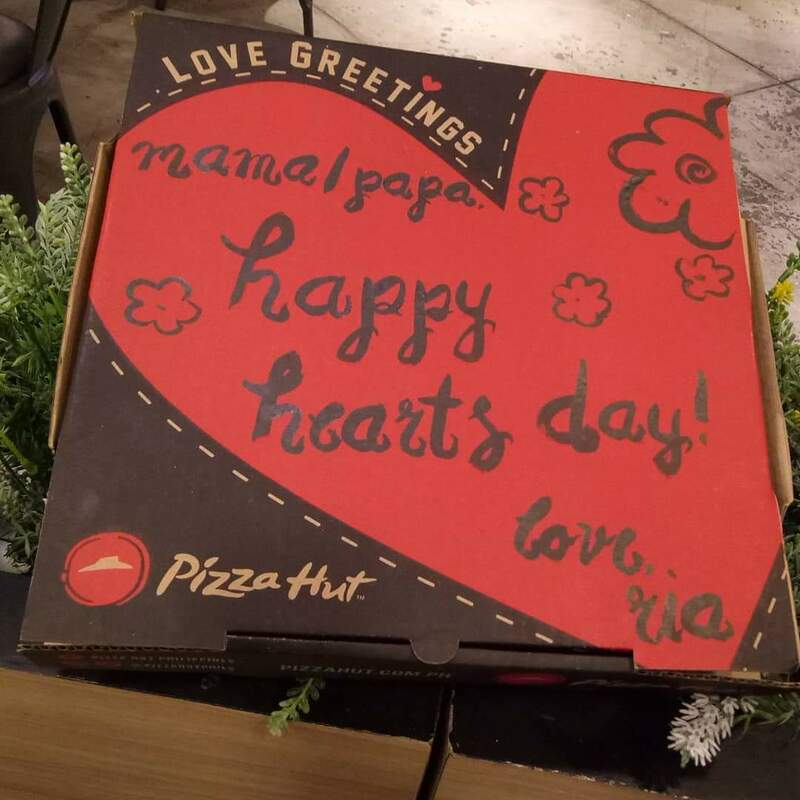 Find a Hut near you to get the Pizza Hut Valentine’s Box and choose from the delicious pizza offerings by logging on to www.pizzahut.com.ph. For hot deals, delicious offers and anything pizza, like and follow www.facebook.com/pizzahutphilippines, and @pizzahutphils on Instagram and Twitter.